‎Ahwazi Arab political prisoner Muhammad Ali Sawari, a 38 year old teacher, was executed by the Iranian regime for "War with God" in 2007. He confessed under torture and was found guilty following deeply unfair trials in which he was denied access to lawyers, was not explained the charges against him and denied access to the prosecution's evidence against him. For the first time and with the help of Ahwazi activists, the Ahwazi Arab Solidarity Network has translated his letters of appeal recently acquired by the Ahwazi Arab Centre for Human Rights. Click here to download the Muhammad Ali Sawari's testimony. Muhammad Ali was executed along with his brother Hamza (also referred to as Jafar) Sawari on September 11, 2007 in Ahwaz City. Along with nine other Ahwazi Arab political prisoners, he was the subject of appeals by Amnesty International (MDE 13/023/2006, 10 March 2006; MDE 13/073/2006, 29 June 2006; MDE 13/085/2006, 1 August 2006; MDE 13/041/2007, 2 April 2007; MDE 13/111/2007, 13 September 2007). The men were reportedly accused of involvement in bomb attacks carried out in 2005 and 2006, including attacks on oil installations. The men's execution prompted spontaneous anti-government demonstrations in Ahwaz. Security forces fired on the crowds. Reports suggest that one person was killed and 20 others wounded. Mohammad Ali Sawari and Jafar Sawari had been in prison since 2005. They were initially accused of promoting Sunni Islam. These charges were later supplemented with charges of bombing the Zergan oilfields. No evidence was produced to back up the charges. Mohammad Ali was an English literature graduate. Some reports claim he was also accused of translating George Orwell's book, Animal Farm, into Arabic, with the aim of sparking an uprising. According to his family, there was no allegation of bombings in his file. He established Arab youth groups in several cities to teach Arabic language and culture and ran a monthly periodical called “Al-Resaleh” (The Cause). He also set up an Arabic cultural organisation called “Sandouq Imam Ali”. 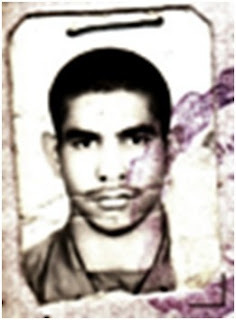 In letters published by the Ahwazi Arab Solidarity Network, Muhammad Ali accused the intelligence services of torturing him to confessing to the capital crime of “Muharebeh” (war with god) and claimed that the Revolutionary Courts denied him access to lawyers, refused to explain the charges against him or give him access to the evidence used against him. Despite these appeals and a promise by the intelligence services to overrule the confessions made under duress, he was denied the right to appeal. Following his execution, his family were reportedly told that his and his brother's bodies would not be handed back to them but would be buried by the authorities. The purpose of this document is to demonstrate the unfairness of trials in Revolutionary Courts and to give a voice to a dead man who was executed while protesting his innocence.